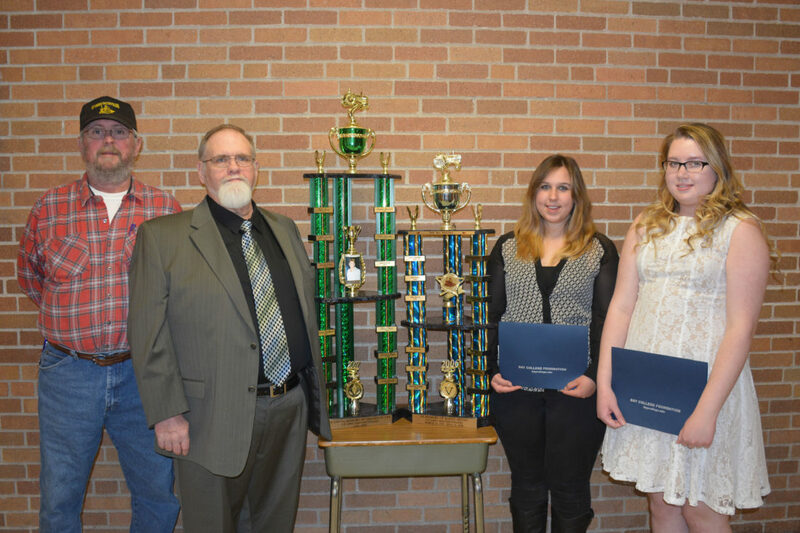 ESCANABA — Caitlin Phalen and Lauren Buckland were awarded $700 scholarships from the U.P. Garden Tractor Pullers Association. The Randy Irving scholarship is presented to a Delta-Schoolcraft ISD automotive or welding student, and the Delores St. Cyr Scholarship is presented to an ISD student who is going into a career working with children. Along with the scholarships, traveling trophies were also awarded. The garden tractor pullers, along with the Irving and St. Cyr families, contribute proceeds of tractor pulling events to three scholarships. Over the past 11 years, the Tractor Pullers have donated over $18,000 in scholarships for students attending Bay College in addition to scholarships for students attending Bay West in Dickinson County. The Irving Scholarship is in memory of Randy Irving, who was active at tractor pulling events. Irving had a keen interest in building garden tractors, and helping others with mechanic work. The St. Cyr Scholarship is in memory of Deloris St. Cyr, who competed at tractor pulling events, and was a very social, outdoor enthusiast. 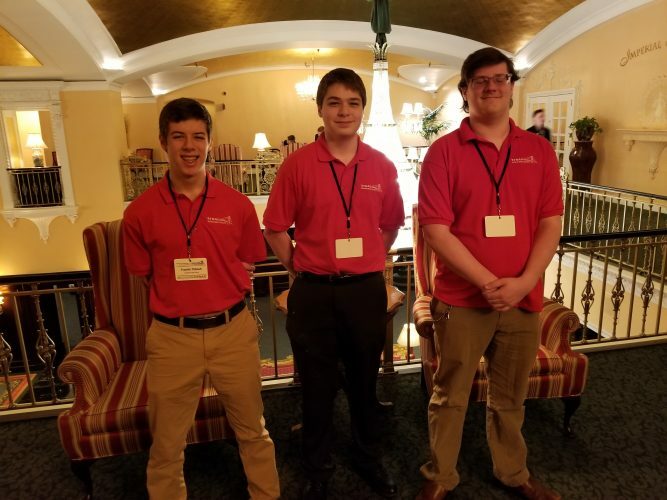 Phalen received the award for outstanding performance in the ISD Automotive Program. Automotive instructor Eric Parrotta said Phalen is a hard worker with a lot of automotive skill and personal initiative. Along with mastering two years of automotive training, she helped organize class field trips and fundraising events. She is employed at Walmart, and she will continue her education at Bay College working toward a degree in business. Buckland is in the ISD Health Occupations Program. She completed requirements to be a certified nurse assistant and works as a CNA at Christian Park Village. She is a member of the ISD Technical Education Honor Society, and plans to continue her education at Bay College to be a registered nurse. With the support of local business sponsors and those who attend tractor pulling events, the club hopes to continue the scholarship support. Tractor pulling events are exciting family fun for all ages, and the public is encouraged to attend. Public attendance at pulls enables the club to offer scholarships and help for those in need in the community. Local events at the Flat Rock track are scheduled for: Saturday, June 10 at 1 p.m., Friday, Aug. 4 at 6 p.m., and Saturday, Aug. 26 at 2 p.m., which is the scholarship fundraiser. At the Aug. 26 memorial event, 100 percent of proceeds, including drivers’ purse money, are donated to the ISD scholarship program. The home track is located between the Flat Rock Fire Hall and Chenier’s Greenhouse. Signs will be posted with directions to the track. For additional information, call Terry Plouff at (906) 399-2901.